I’ve been a fan of Jason Lenox for a while now – love his style! I have Lord of the Cosmos #1 and cannot wait for the next issue! Help make it happen! 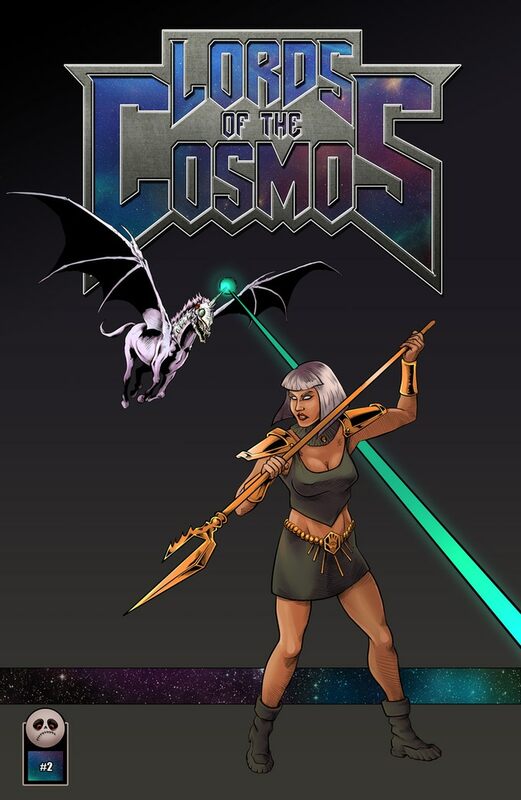 Blurb from Jason Lenox – We’re raising money to complete Lords of the Cosmos #2 another jam-packed issue of comic mayhem for fans of 1980s action adventure properties. This isn’t just a comic – it’s a super sized massive jumbo comic – actually more like a small graphic novel! The new issue will have 44 interior pages comprised of part two of the main story (17 pages) , which is continuing from the first issue, as well as three new short stories (22 pages in total) covering different aspects of the world we’ve created. We also have several pin-ups and four variant covers on this issue. Finally, we have more Lords of the Cosmos original artwork and of course sketch covers! Is that enough for you maniacs? A supersized second issue of sci-fi and fantasy for fans of He-Man, Thundercats, Heavy Metal, Conan, and Flash Gordon!